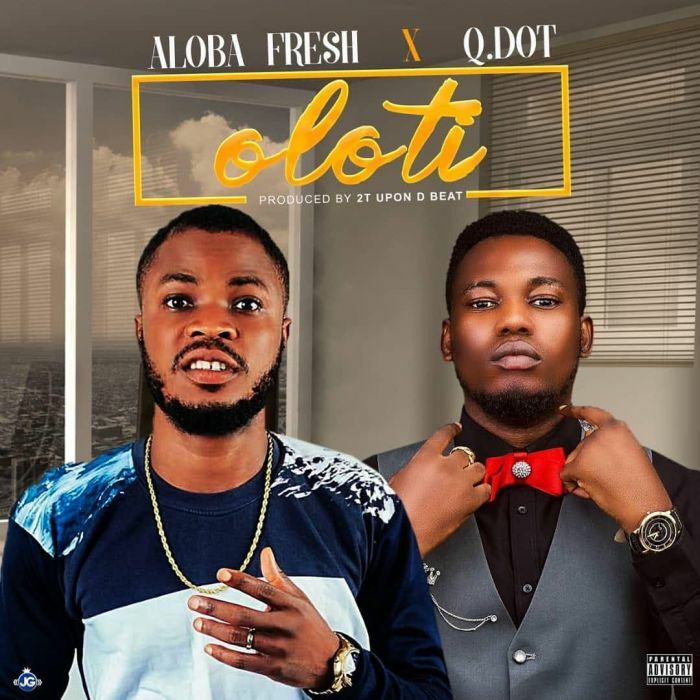 Aloba Fresh has been known for his sensational vibes, giving us Hits Back to back. He is not relenting as he drops another mind blowing dance hall vibe titled “Oloti” (Drunkard) which features the Rave of the moment, #Qdot. This is definitely going to make you all dance away your worries. The tune is produced by the Veteran Producer 2tboys.